What can you do when you’re worried about a friend? The support of friends and family is very important for someone living with a mental health problem. 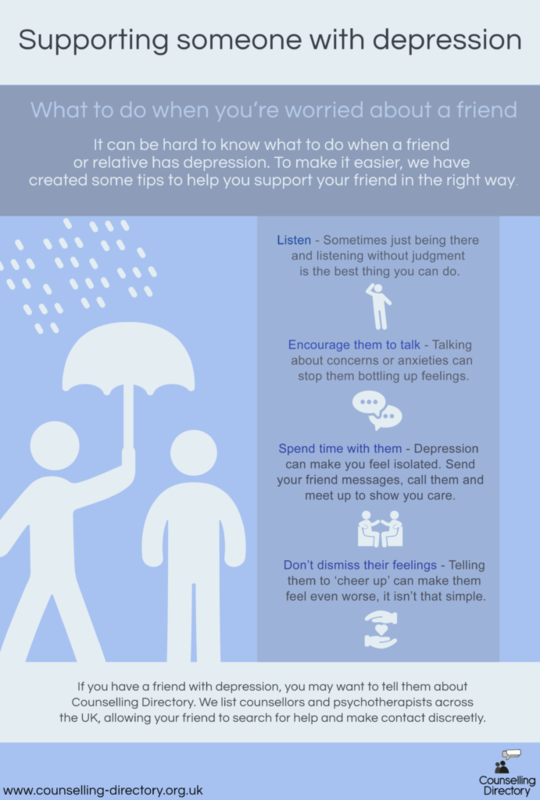 It can be difficult to know where to start when you’re worried about a friend, but there are steps you can take to show you care. When you’re worried about a friend, being there and listening to what they have to say, without judgement, is one of the best things you can do. Some people can feel ashamed and embarrassed about what they’re going through, so not everyone will openly ask for help. Sometimes, simply letting your friend know you’re there to listen, is what they need to take the first steps in seeking support. There are many reasons why a person doesn’t want to talk to their loved ones about how they’re feeling, and sometimes the easier option is to dismiss the feelings and keep quiet. But the thing is, talking about your feelings is so important. If you’re worried about a friend, be open and encourage them to talk to you. Try not to push them if they’re not ready, but give them the opportunity to talk if they are comfortable. If you’re not sure how to approach the conversation, simply send a text or call them to ask how they are. Depression can make a person feel very alone. They may neglect the things they previously enjoyed, and isolate themselves from friends and family. Try not to take this personally and instead, make an effort to spend time with them. Invite them out, whether it’s a big day or just an afternoon walk and a coffee. Even if they decline, this will remind them that you’re there. 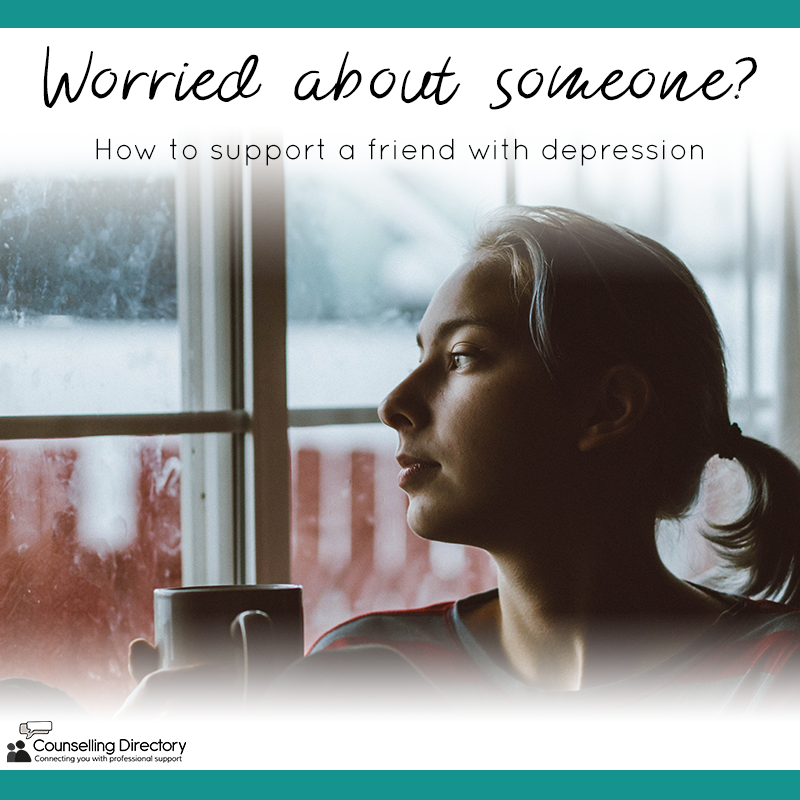 As a friend on the outside, it can be frustrating watching a loved one suffer, but it’s important not to let your own feelings get in the way. Think before you speak and try not to dismiss their own feelings. Phrases such as ‘cheer up’ and ‘it’s not that bad’ seem innocent, but can make a person feel even worse. If you’re not in the right frame of mind to talk to them, take a moment away. It’s important to look after yourself first, before looking to care for someone else. Do your research and look at the support groups and resources available. These can be a great help in supporting your friend, as you can offer suggestions if and when they are ready to find support. On our website, you can learn more about the treatment available, including talking therapies and how counselling can help. Counselling isn’t for everyone, but knowing it is an option makes the journey easier. Feeling disconnected from your partner Will I ever be able to trust again after my partner has had an affair?